The system features Innova CT HD, GE's next generation of 3D imaging, providing fine image details for visualizing soft tissues and small devices such as intracranial stent struts. 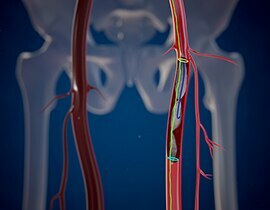 With the new generation of GE's advanced interventional imaging software solutions, ASSIST, you can expand your clinical versatility and successfully plan, guide and assess increasingly sophisticated procedures with greater precision and dose efficiency. Superb image quality with high Detective Quantum Efficiency (DQE)The proprietary angiography flat-panel detector offers one of the industry’s highest ratings for Detective Quantum Efficiency (DQE), a parameter internationally acknowledged as an index of detector performance in contrast-and dose-limited imaging performed in clinical studies. High DQE enables better-quality images at the same dose, or the same quality image at a lower dose. With its unique offset C-Arm, the Innova IGS 6 enables improved access to patient head in complex interventions and helps cover head to groin without moving the gantry. Thanks to the exclusive design of the C-arm, you get unrestricted access to the patient’s head for anesthesia and nursing. In addition, the C-arm design allows you to perform 3D rotational acquisitions of the spine and torso as well as patients’ head while intubated. With the SmartBox, drive with one hand: the frontal, lateral and both planes simultaneously, both detectors as well as the table longitudinal and lateral panning. Control your system and images with integrated, intuitive tableside controls. With simple menus, the Central touchscreen lets you control most system functions, configure the system, modify imaging parameters, control your large display monitor, 1 and manipulate advanced applications – all at the tableside. The comfortable, easy-to-grasp control knob makes it easy to pan the table, position the gantry, and perform procedures. With 3D CTHD and virtual dilution5 visualize the relationship between your device and vessel with robust image quality and without changing your contrast injection protocols. With 3D CTHD and split phase6 visualize arterial & venous phases & details on cross sections to help analyze the complex anatomy of AVMs. On the AW, semi-automatically track vessels & plan their embolization. Visualize the embolized vessels in 3D and their relationship to the other structures with 3D CTHD subtracted. 2 – Modification of preferences by requesting it to your entity responsible for the servicing of your equipment. 5- InnovaBreeze is optional on IGS 630 configuration and it requires an AW Workstation. Advantage paste is included in InnovaBreeze. 6- MAR & Motion Freeze are optional features of 3DXR. Sold separately. The improvement related to Motion Freeze depends on the acquisition conditions, table position, patient, type of motion, anatomical location and clinical practice, it has been assessed visually on a physical phantom.